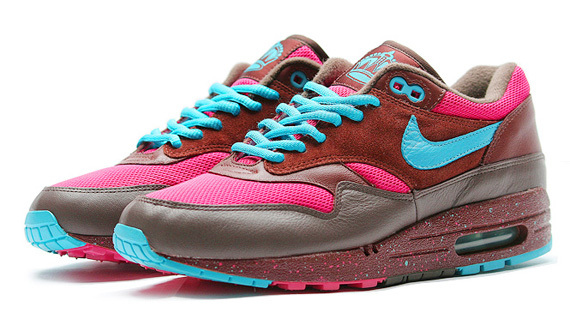 Continuing on from yesterday’s profile of 2002’s Atmos x Nike Air Max 1 ‘Safari’ in our Classics Revisited section is another collaboration banger of the 2000’s – the Nike Air Max 1 ‘Amsterdam’ designed by Dutch artist Parra. 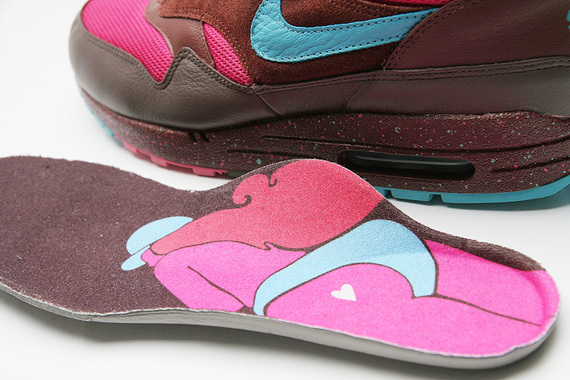 For those who are newer to the game, Parra’s name might ring a bell thanks to 2010’s three-way partnership of Parra, Patta, and Nike with the famed ‘Parra x Patta x Air Max 1‘, but Parra’s first project with the shoe was this 2005 Tier Zero (back when TZ meant something) release from the Capitol Series, which is considered to be one of the most-coveted Air Max 1s of all-time. 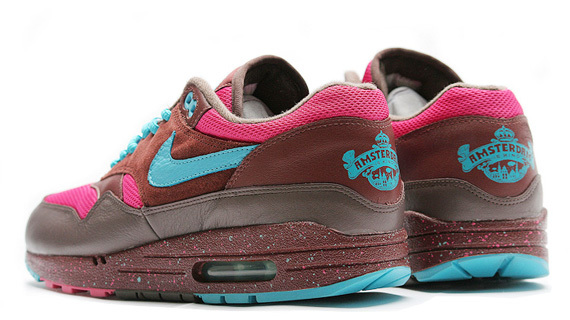 Want a deadstock pair? You’re gonna need to shell out at least a grand (that’s bottom dollar we’re talking), but believe it or not, some of Amsterdams actually hit the notorious outlet down in Florida as B-Grades (some lucky bubs managed to get these for a mere $30). 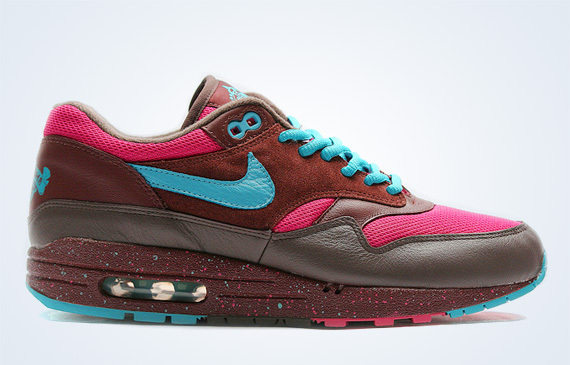 Along with the sick color combination of burgundy, pink, and turquoise blue was the ‘Amsterdam’ logos on the heel and tongue giving the shoe a rich territorial theme, but these released in Paris, London, and Berlin as well as the home city of Amsterdam. 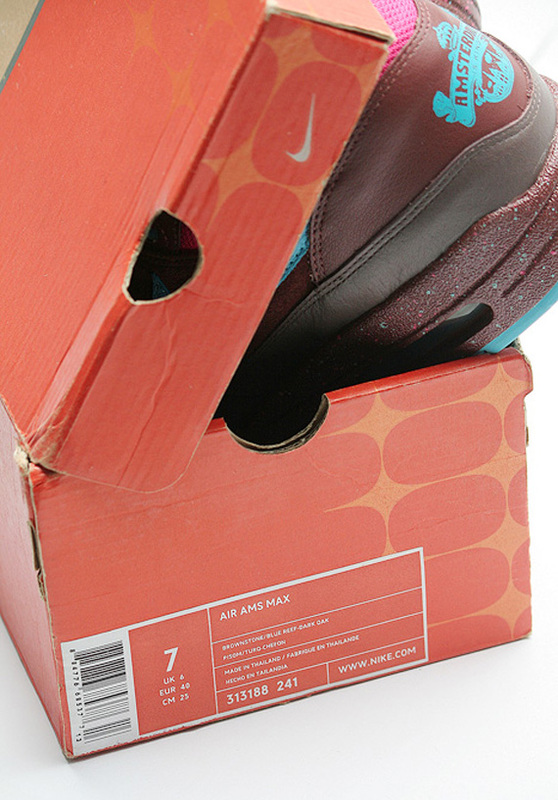 The overall production numbers of the Air Max AMS isn’t quite clear as they were not individually numbered (possibly around 200-250 pairs), but it’s been noted that these were not produced above a size 11.5. 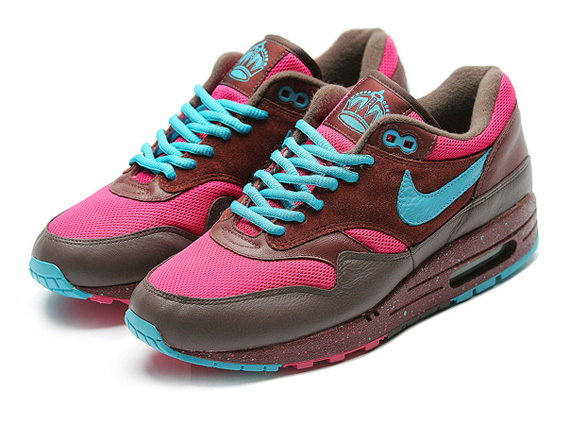 Alongside this limited release of the Air Max AMS was a Friends-and-Family version that featured Parra’s trademark script logo stitched on the outer toe (just 24 pairs), and curiously enough, plus-11.5 sizes exist only in the Parra embroidered versions, with just two size 13s said to be in ‘circulation’. A sample version in orange/blue, inspired by plastic bags of a supermarket in Amsterdam called Albert Heijn, was also created; contrary to public belief, the sample version never officially released and was rejected by Nike in favor of the version we see today. Some final words on Parra: he’s a self-taught Dutch illustrator who has done work for Nike as well as skate brands Etnies and Zoo York in his earlier years and has done collaborations with Converse, Vans, and much more – all while maintaining his own clothing label Rockwell. 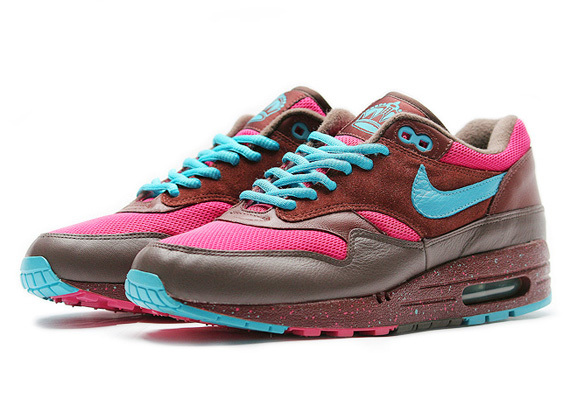 A gallery of this Air Max 1 classic is just ahead, so let us know if you own one of the rare pairs and check back with us tomorrow for another great feature on an Air Max 1 icon!